Can a 34-year-old Canadian business school dropout rescue Britain's HMV? Canadian Doug Putman, 34, is making a big bet on the return of the retail music industry in Canada and now abroad. The president of Sunrise Records recently purchased 100 HMV stores in the U.K. after the music chain filed for bankruptcy protection. 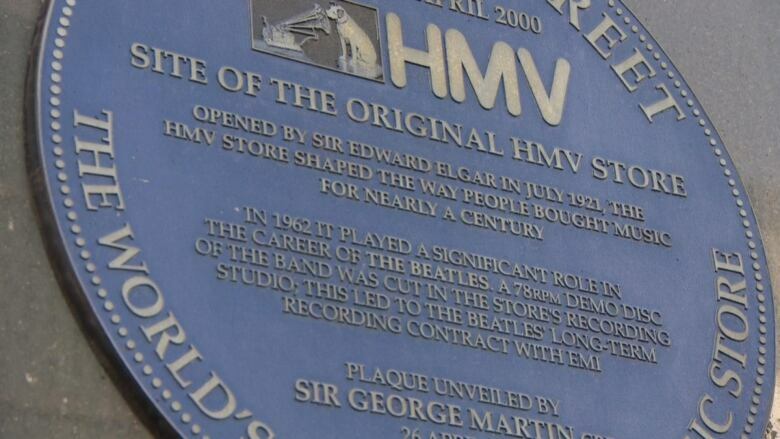 British newspapers are calling Doug Putman a "saviour" who will rescue the nation's iconic music brand, HMV. But don't tell him that. 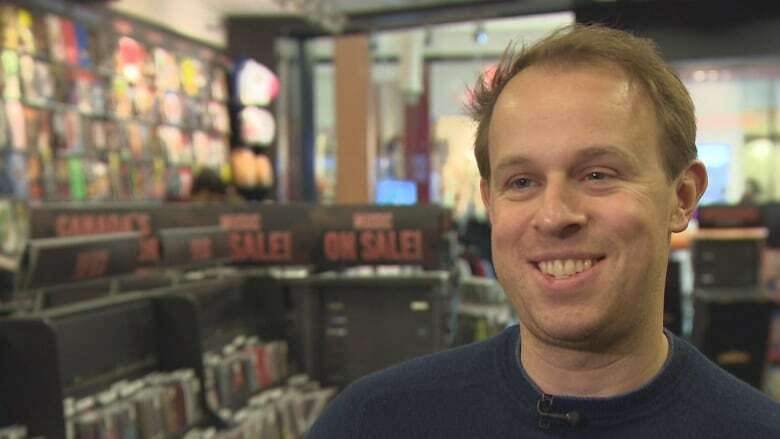 "I'm starting to blush," says the 34-year-old entrepreneur with a shy smile, standing inside one of the 85 Sunrise Records stores he owns in Canada. "I just keep saying I feel lucky that we were able to do it." Just how lucky he is, though, remains to be seen. He's gambling millions of dollars, betting he can turn around the fortunes of 100 failing stores on the other side of the ocean, in what many experts consider a dying industry. The young businessman, soon to be a first-time father, is making regular trips to London to meet with HMV staff at its head office. He needs to get everyone at the company on board with his strategy to restore the ailing brand to health. HMV declared bankruptcy in the U.K. last December, following in the tracks of so many other music retailers before it, such as Sam the Record Man and A&A Records in Canada. 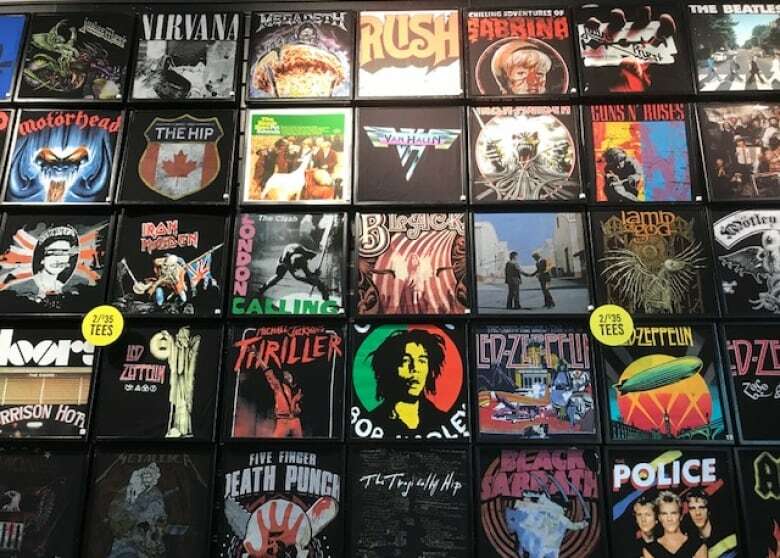 Much has been made of the recent resurgence of vinyl records, but market research firm Nielsen says the format accounts for less than three per cent of music consumption. CD sales, too, have been surpassed by digital streaming of music. Music industry insider Rob Bowman — who's been nominated for six Grammys for his work as both a producer and a writer, winning once — says record stores are struggling because streaming services allow consumers to access "all the music in the world" for as little as $10 a month. "It's all about digital technology. It's all about ease. It's all about a generation raised with computers where everything is a quick click away or, you know, a few keystrokes away," said Bowman, who teaches music history at York University in Toronto. Even so, many Britons are lamenting HMV's demise. "Who would have thought that the record store where The Beatles recorded their demo would go out of business?" asked David Higgins, passing by the original HMV store on London's Oxford Street on a recent weekday. A nearby plaque commemorates that 1962 event. Keith Brice, another passerby who spoke to CBC News, said, "Record stores have had their day, unfortunately." But Putman is optimistic. He bought HMV's Canadian operations when that part of the chain went belly-up back in 2017. At that time he owned five Sunrise Records locations and felt confident he had perfected a profit-making recipe. He rebranded all 78 of HMV's Canadian stores as Sunrise, and says the national chain is now making good money. He's even added several more locations. "We're very happy," he says when asked about just how profitable Sunrise is, pointing out that as the owner of a private company he doesn't share detailed financial information. "We did it in Canada, we know we're going to do it in the U.K."
He also won't divulge what he paid for the British company when he struck the deal in January, saying only it wasn't a "huge" amount of money. "The real cost of this business is the day-to-day cash flow that they need," he said. "You're buying a business that was losing an awful lot of money every day, so what you really need is the money to sustain these losses while you're turning it around to get it to be profitable. And that's where the big money comes in." Putman expects HMV to be profitable within the year, a similar timeline to what he says he achieved with Sunrise in Canada. But he won't use the Sunrise brand in Britain, where the HMV name is well known and even viewed by many as a proud part of the nation's musical heritage since its beginning in 1921. Putman comes from a business-minded family. His father was a longtime Stelco employee before he and his wife decided to become entrepreneurs. They launched Everest Toys 25 years ago to distribute products to retailers, raising an initial $50,000 by remortgaging their home. Putman planned to get a university degree in business but in his first year decided it wasn't for him. "Hated it," he says. He returned to work at Everest at age 18, and took over the helm of the firm at age 23, expanding and building the client base to include Toys R Us, Home Hardware and Indigo, as well as Walmart and other American clients. His parents went on to new ventures but stayed involved in the business. In all, the family has its hands in about 40 different companies — a restaurant, a marine supply store, real estate and more. "I love it," says Putman of the challenges of the business world. But he didn't jump at the opportunity to buy HMV in the U.K. when he first heard the company was in trouble, assuming British suitors would come forward. In the end, though, he couldn't resist the opportunity and made his bid. Music professor Bowman thinks Putman has a shot at success. How does he view the odds? "He's clearly got a good formula, and I might go 50-50, maybe 60-40 in his favour," he said. "I hope it works. The more music stores the better. It's much more fun to go into a store than to go on a computer." But there's no question Putman has his work cut out for him. According to music industry group the International Federation of the Phonographic Industry, 86 per cent of consumers access music via on-demand methods these days. Its data shows 54 per cent of the industry's $17 billion worldwide revenue is generated through digital channels. Putman is undeterred. "The growth of streaming is starting to slow down," he says. "It's still growing, but it's slowing down." As for the threat of Amazon and retail sites that have been sucking the life out of so many bricks-and-mortar shops, he says he believes there's a "pushback" movement afoot against online shopping. "People are feeling they want to support their local store, whether it's a record store, entertainment store, grocery store, whatever it is. And if all we do is support Amazon, eventually there will be nothing to go out and shop and look for, so I think we are seeing that shift against it." Whether or not he's right, stay tuned to see if this young Canadian can deliver on his outsized ambitions. Dianne Buckner has reported on entrepreneurs for two decades. 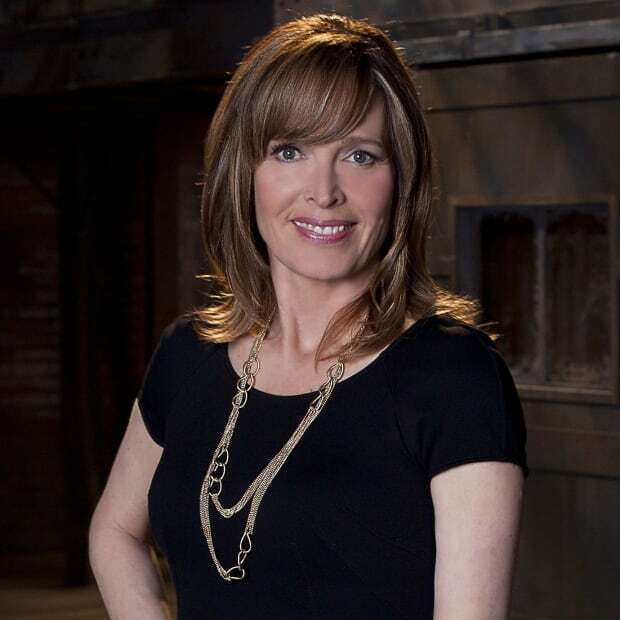 She hosts Dragons' Den on CBC Television and is part of the business news team at CBC News Network.